Tokyo did not give the Johnsons a warm welcome. George got kicked on the metro and our hotel refused to let us check in until we’d paid for an extra room. The hotel had us over a barrel, it was the beginning of the Golden Week period when the majority of Japan is on vacation and accommodation in Tokyo was rarer than a bleu steak. When you get a bad first impression of somewhere it can be hard to move on. I spent our first couple of days in the capital in a foul mood feeling like the whole place was against us. And I didn’t even see Bill Murray. Our accommodation woes followed us to Kyoto. Where we were informed that children weren’t allowed in the room we had booked and we would have to pay more for a different room. We sucked it up. Clearly this was how they rolled in Japan. The guest house, owned by an ancient matriarch, was run down and infused with the delicate aroma of cat piss. 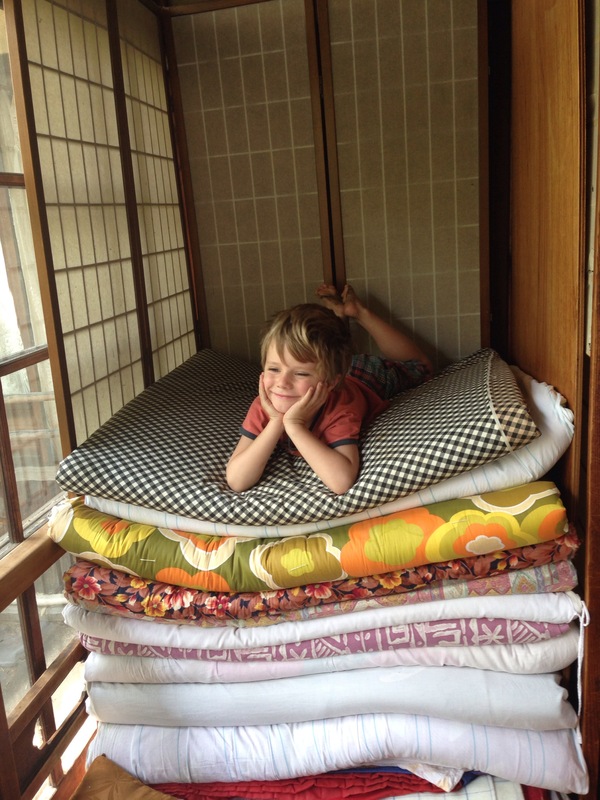 It was interesting to stay in a traditional japanese house but with the warning from granny to keep the children quiet I didn’t warm to its paper-thin walls. Happily our digs with their lumpy futons were the lowest point of our stay in Kyoto. The neighbourhood was great. Although a way out of town we were right next to a massive temple complex, with exquisite gardens, a playground nearby and wonderful local restaurants. We made the most of our Japan Rail passes, enjoying day trips to enchanting Arashiyama and to visit the tame deer in Nara. And so it was we went from the ridiculous to the sublime. A yurt, on a smallholding, in the Japan Alps. Our own space where the kids could run around and make as much noise as they liked. Yuu and Megumi run a book shop/cafe/gallery space as well as guest house accommodation. There are a couple of fabulous installations in their grounds including a giant organ and camera obscura. Our days were filled with happiness: hunting tiny frogs, hiking in the Alps and soaking in the local Onsen (public bath). 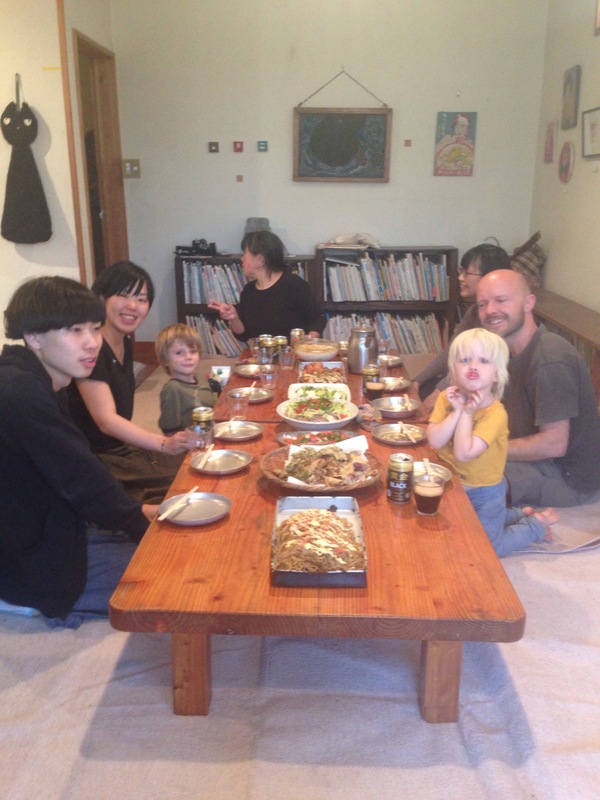 Our evenings were spent feasting on Megumi’s wonderful food, sipping sake and conversing with their artist friends. On our last night we were treated to a mini-gig from Yuu’s band. The hills were alive with the sound of Beatles covers. We were dreading leaving our haven in the hills and we bickered our way through the bus journey back to Tokyo. 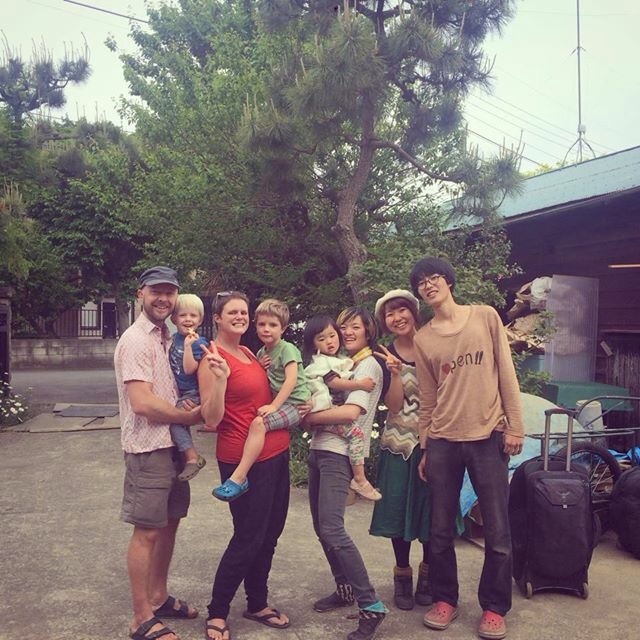 We’d had no luck finding somewhere to stay but Yuu and Megumi came to our rescue, securing a place to stay with a family friend in the suburbs. That’s how we found ourselves at Maki and Yossy’s house where we were embraced as part of the family. They live in a lovely old house in an inspiring community and run ’Alumonde’ a workshop space where people can use tools to fix their stuff or swap unwanted items for things they need. They live near a city farm where we gatecrashed a bbq and got to make gelatinous rice cakes. We hiked a nearby mountain, enjoyed a full moon dinner party, ate Wagyu beef and experienced the intensity of a Japanese festival. We didn’t see a Geisha, Sumo wrestler or Mount Fuji but Nick did manage to soak himself pressing the wrong button on a high-tech toilet. The trains are super fast and the food is sublime. 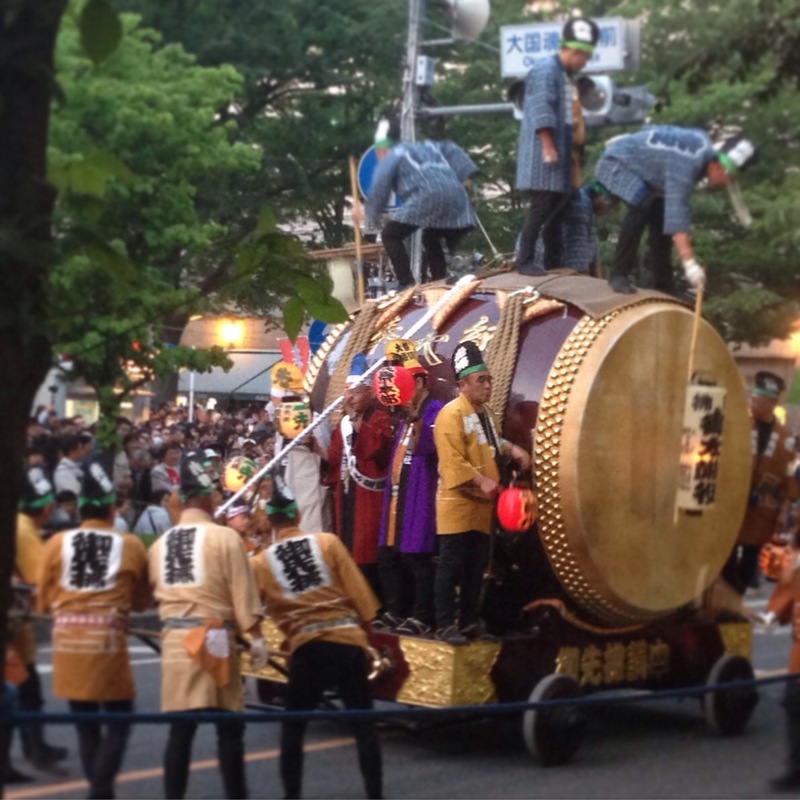 However it was away from the stereotypes that we saw Japan at its best. 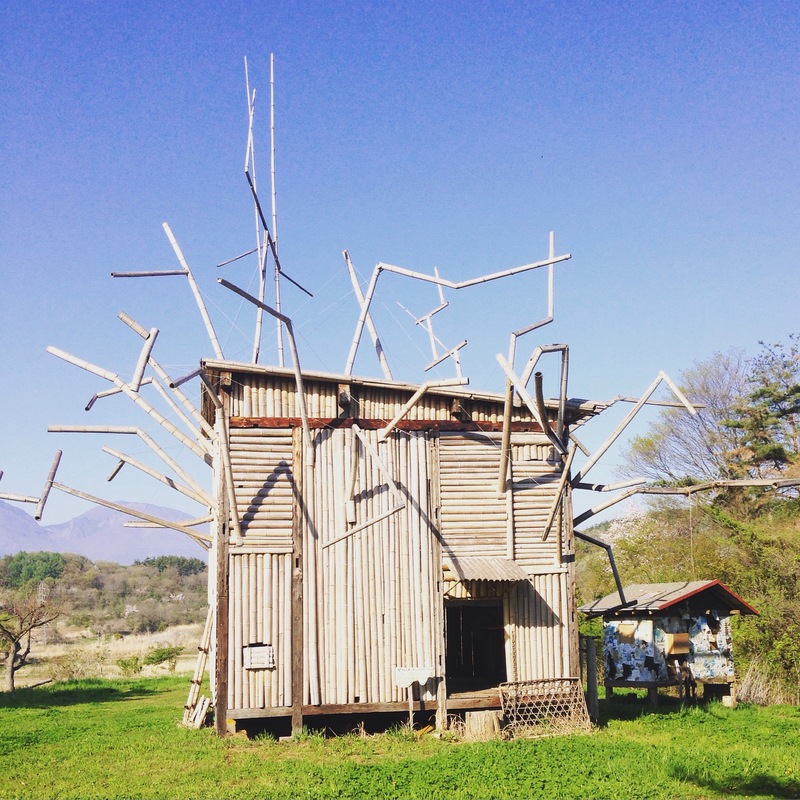 We got to experience a side of Japan that many visitors to the country would not see. I certainly would not have missed our haven in the hills or the sense of community we had for all the sushi in Japan. 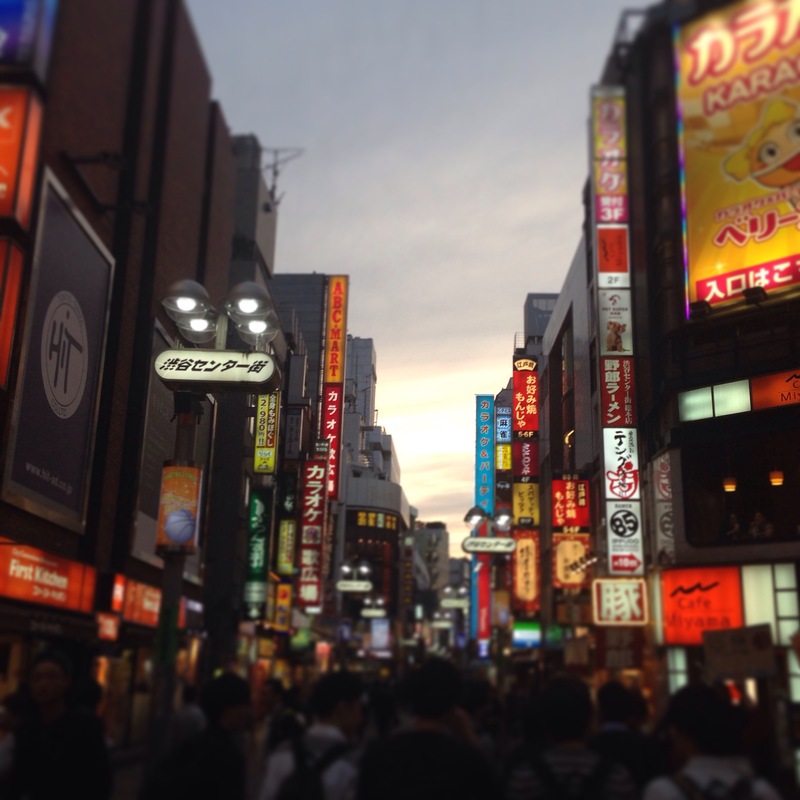 Sorry to hear that your first impression of Tokyo was negative. Normally, Japan’s 「おもてなし」 (hospitality) is top-notch! We definitely experienced Japanese hospitality at its best in the latter part of our stay. Great post, did make me giggle. It’s the most unexpected situations that you appreciate the most. Sounds like you had a great time, minus the cat piss aroma! 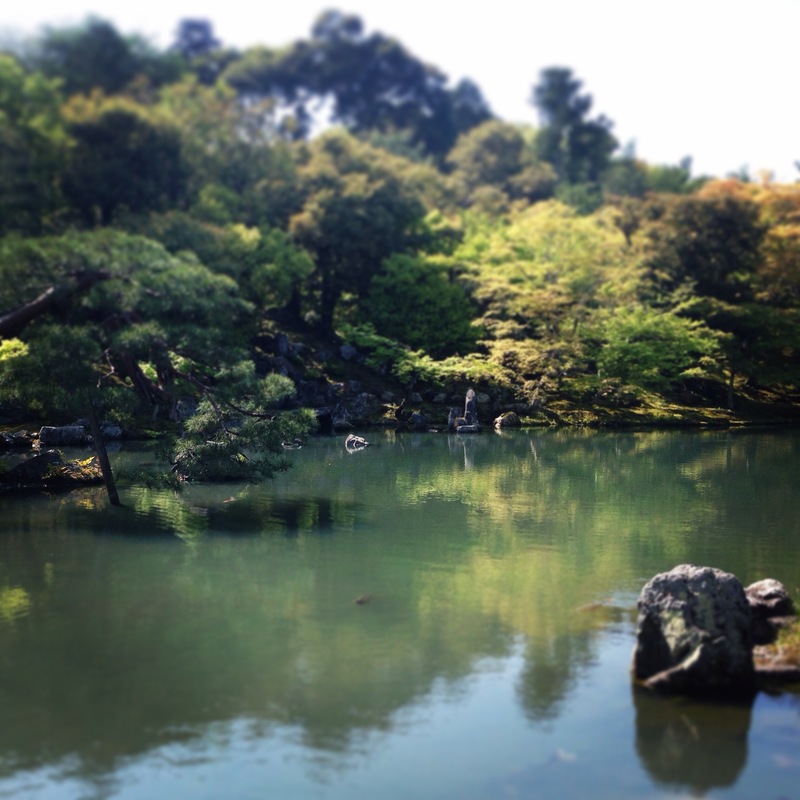 Thanks for checking in Sally – We ended up loving Japan and would go back in a flash!